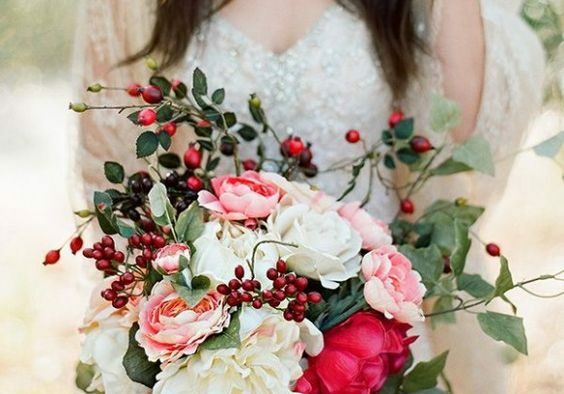 The bridal bouquet is an essential element when it comes to the wedding accessories that the bride applies for. Not only does it have to characterize the bride totally, but it has to be made in the same colors and resembling details used in the rest of the wedding reception and it has to be correlated to the bridal gown and the bride generally. 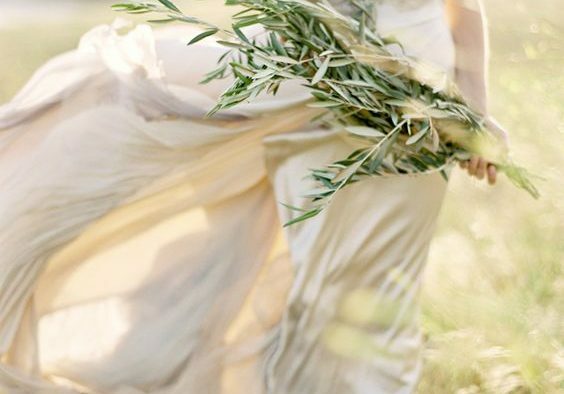 The main idea when it comes to bridal bouquets is that you use as much of your imagination as you can. 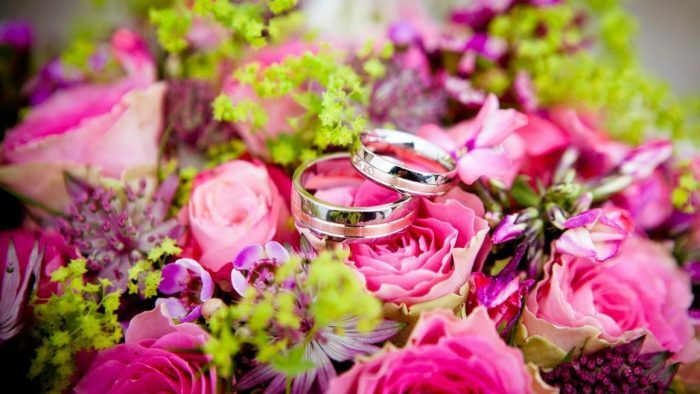 For instance, you have to make sure that the flowers engaged in the bridal bouquet are among your favorite ones and in the same time, they have to represent you! We were thinking that you definitely need to apply for the help of a florist in the case of the bridal bouquet, but you might as well make it with your own hands if you really want this thing! 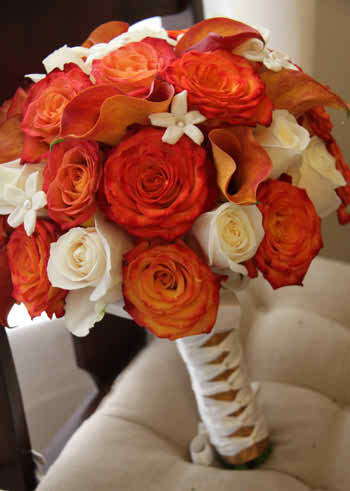 A bridal bouquet made in two tones seems ideal to us: a bright tone and a really light one as well. Make sure that the bright tone that you apply for is made in a strong manner and it’s rich as well. Use for instance the same types of glowers, the only difference may be that they’re in different tones. 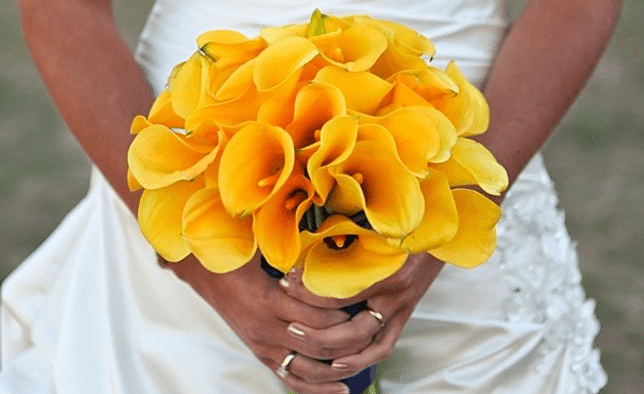 Like in this case, there are used both orange and white roses and here and there around the bridal bouquet you can observe the callas which are placed as to make the bridal bouquet look complete. Another thing that we need to mention is related to the small buds of flowers which can be added here and there between the big flower buds and let’s also add that these small buds are in the light tone we’ve been speaking about. 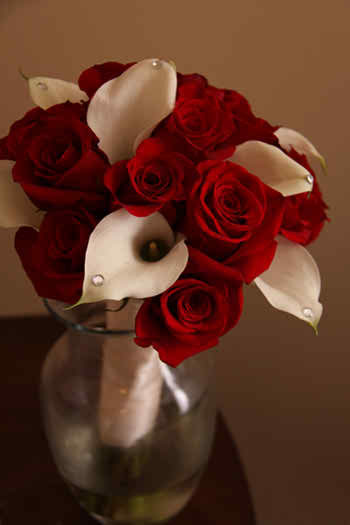 Elegant flower combinations seem to us a great option for those fancy weddings: combine flowers like roses with callas, in two different tones, like white or red. The combination of white and red seems to us really great and less are the chances for you to fail with applying for it. 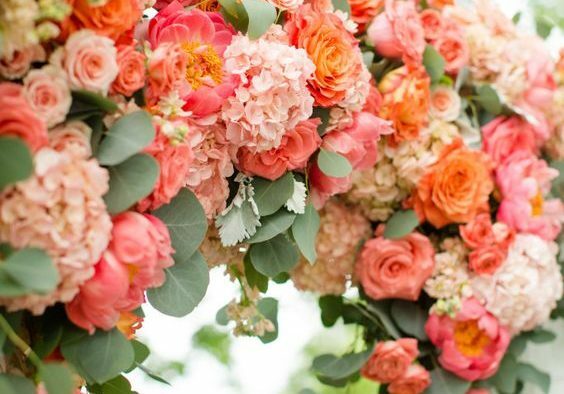 Make sure that the flowers engaged in the bridal bouquet are fresh this is the main thing when it comes to being successful with the bridal bouquet that you’ve applied for. 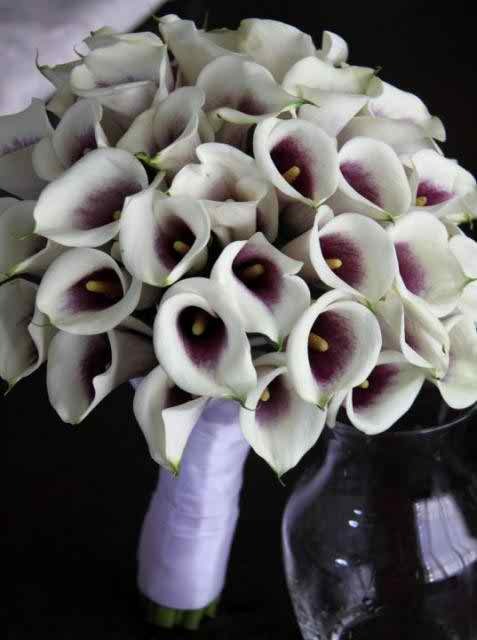 If you want to remain elegant and just that, then we were thinking that you need to know that there’s this main idea that you can apply for and which involves the use of callas, only callas in your bridal bouquet. Use white and purple tones and wrap around the bridal bouquet a purple ribbon in order to make it look complete and really fancy! 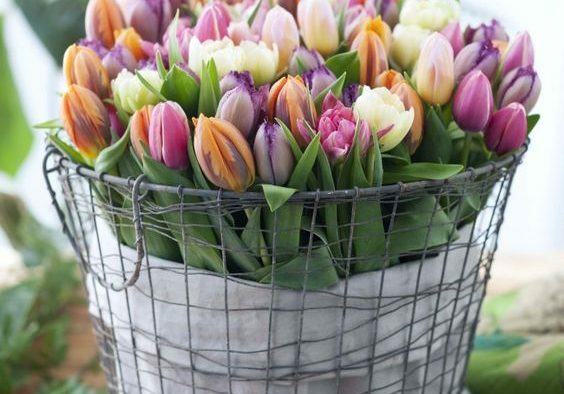 It’s indeed a nice pick for a fancy bridal bouquet.